Guided Math for Fourth Grade is composed of 15 units divided into four quarters. The units range anywhere from 1 week long to 5 weeks long, depending on the standard(s) being covered. 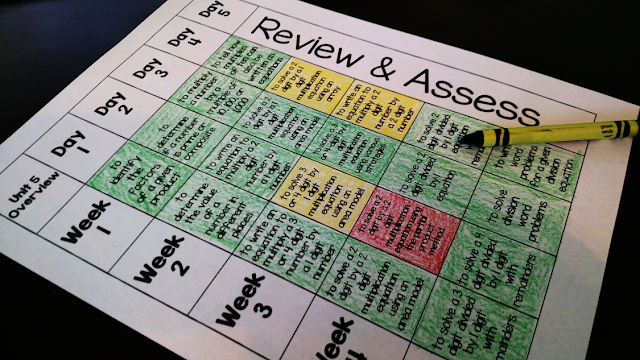 There are 8 weeks of lesson plans for each quarter. (If you work in a traditional school, this will leave you one week for review or test prep each quarter. You can also use that extra week as a buffer week because we all know interruptions happen that get you off track.) Check out the year at a glance below. 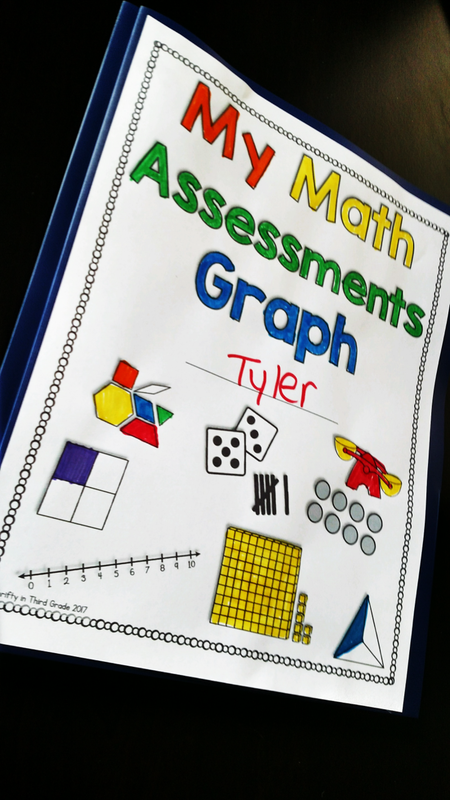 Binder spine labels are also included so you can keep all of your 4th Grade Guided Math materials organized! They come in a printer friendly version as well! The Guided Math Bundles now include a Teacher Handbook & Overview. 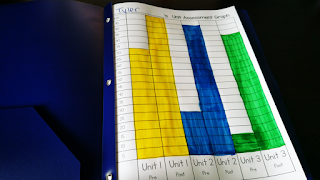 Inside you can find these unit reflection sheets. 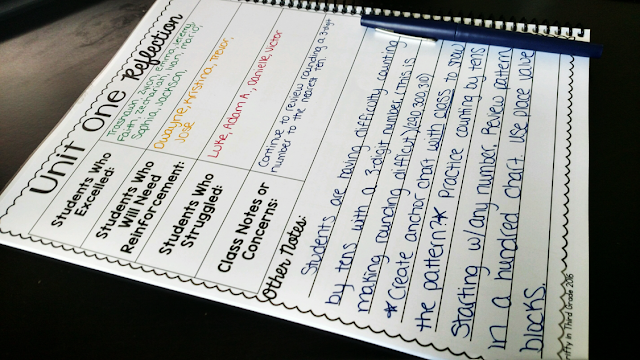 They are a great place to take notes and reflect on your teaching as you teach the units. Put down areas you want to review, things you want to do different next year, etc... This is also something you can use to show your administrator that you reflect on your teaching practices! The Guided Math bundle now has Student Graphs that you can use to allow students to graph their pre and post assessment scores to track their growth. There is also a generic graph that you can use to track scores from any math assessment you give. Get the 4th Grade Guided Math Bundle HERE.